NEW PRICE!! 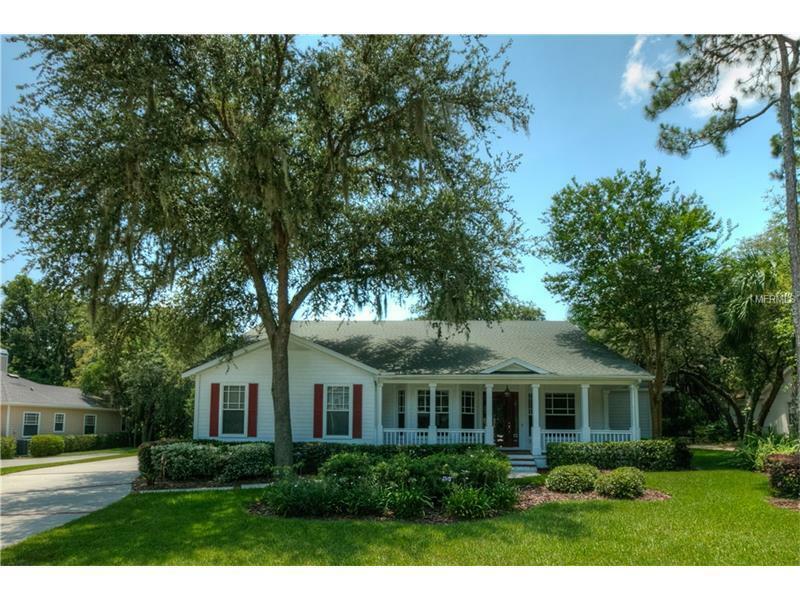 Charming, quality built southern traditional style home is located in the gated, guarded 24/7 community of Fish Hawk Trails. As you approach the home, you will notice the cozy red brick front porch and durable Hardiplank (cement with a wood look) siding dressed with red shutters. Step inside onto glistening newly refinished 3/4' oak hardwood flooring that extends from the galley into the formal living spaces and family room with gas fireplace. Features of this home include trey ceilings, triple crown molding, 5 1/4' baseboards, bay windows, French doors, plenty of natural sunlight and freshly painted interior. The kitchen opens to the adjacent eat in area and family room and features raised white panel cabinetry with roll out shelving, granite tops, gas cooktop, built in wall oven and microwave, dishwasher and fridge. The master suite is spacious with French doors to lanai, two large walkin closets and a newly redone master bath with free standing jetted tub. The three secondary bedrooms are spacious with two of them sharing a Jack and Jill bath and the 4th with it's own bath that also serves as a pool bath. Many sets of French doors lead out to the sparkling salt water pool and spa with large paver covered lanai. Across from the pool is a large 600 sq. ft. Casita with closet and full bath making it a wonderful flex space. The wooded back yard is fenced and tastefully landscaped. Plenty of neighborhood and nearby amenties plus great schools. Come see it today! !